I survived!!!! I wasn’t so sure I would. ;) This was my first time going all by myself…luckily everything worked out and went smoothly. 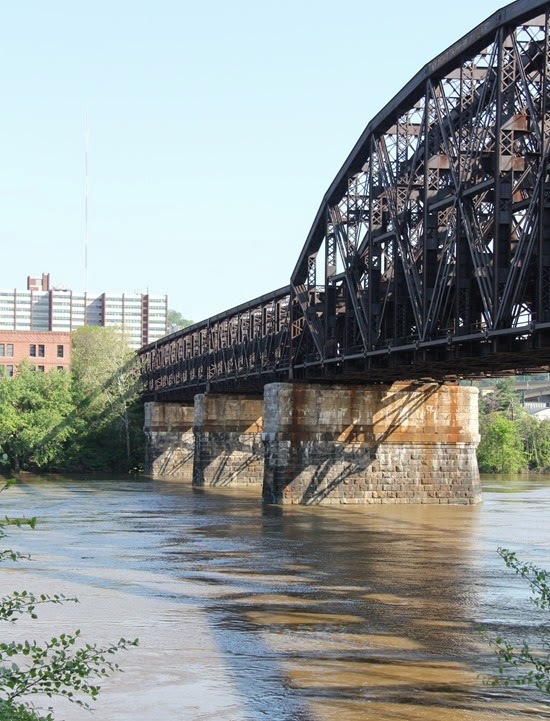 Pittsburgh is beautiful…the bridges, the buildings downtown, the hills full of trees…I loved it all. Hands down my favorite part was seeing so many familiar faces. It was my first time meeting some of these girls in person even though we’ve “known” each other for years! As fun as it is I’m sure happy to be home and done with market for awhile! What fabulous photos you took! Looks great. Oh, how I wish the US was a little closer! I'm a bit grumpy because I've signed up for the Cotton & Steel newsletter and have seen nothing of these fabrics – I'm so excited by this collaboration and want to see what's coming out! I'm ready to throw my money at you people, help me out here! Well done on getting your booth up and manned all by yourself. Not an easy feat! Does anyone know the name/maker of the pattern for the beautiful dress (blue with red piping) in the last photo? I would love to make it for my girls. The quilted skirt is AMAZING! Woah. love to see the photo of Pittsburgh. i hope you enjoyed our great city! even though i couldn't attend quilt market, it was fun to know so much quilty stuff was happening here. and, i love the new fabric line. Thanks for sharing Quilt Market! I hope I win your FQ bundle…love the new line! 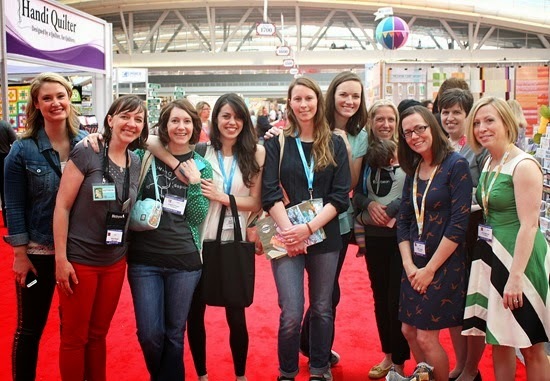 Love, love, love seeing your photos from Quilt Market! Such synergy at this show. I missed going, but will be at Fall Market! Thanks for sharing! That's amazing – I think I'd be suffering from sensory overload for weeks afterwards! You must be so fired up when you get from these shows. Love these pictures! thanks for letting me virtually tag along! Thanks for the great "trip" for those of us who cant see it in real life! It must have been a feast for the senses. Thank you for sharing so many wonderful pictures of the booths and quilts. 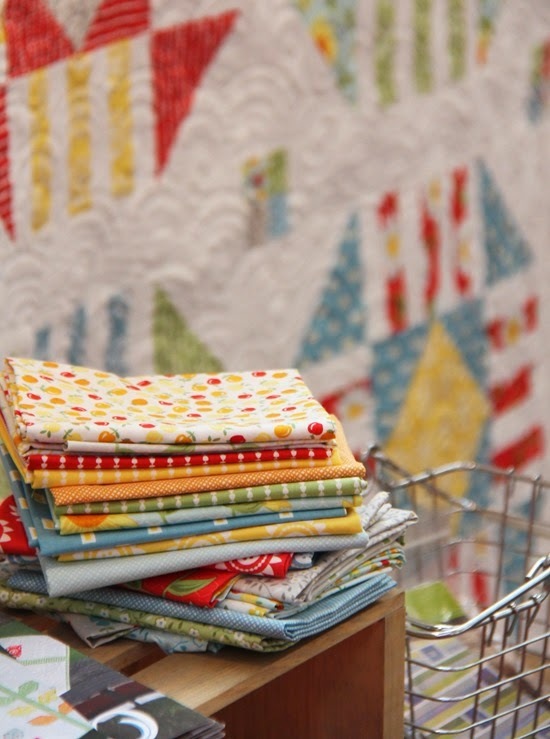 I always love hearing about quilt market! Wish I could go! I love your new line of fabric. 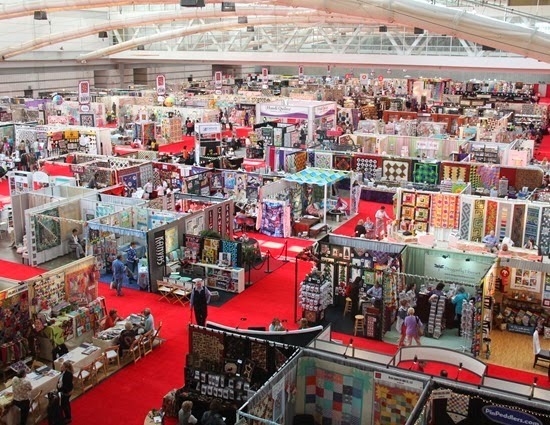 The Quilt Market looks fabulous! The fabrics and ideas you see are just so inspiring!! 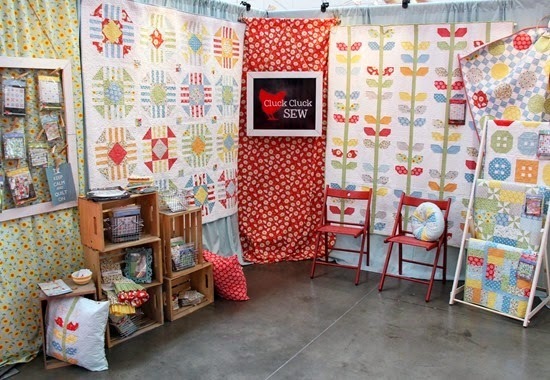 Your booth looked great, love the quilts! Great pictures. Love to see all of the bloggers' photos. I dream of some day "going to market"! Angela Walters did an AMAZING job on that dress!! Thanks for sharing! love seeing the photos from market! and Pittsburgh is a great town!